This morning at 4:18am my wife and I awoke to pray and read Isaiah 11 to commemorate the astronomical event that has never before occurred in recorded history. The sun was darkened according to the prophecy of Joel and will be followed up in two weeks by a blood red moon at Pesach or Passover. The possibility that this could be the time that HaShem pours out his Spirit upon all flesh could become a reality and the way God enables us to endure the horrific years to come. God Most High, from the beginning You have blessed all creation to be filled with the fruition of Your life and Your love. You are so holy and great that angels in the highest heavens hide their eyes in Your presence, and yet they also declare that the entire earth must be filled with Your glory. Bring forth this fullness! We know that human minds cannot contain the wondrous expanse of Your great glory. And yet You have formed us to know and honor You with heartfelt praise. You cannot be praised unless You are known. And so we pray that you would reveal Yourself to the nations, so that people of every language and lineage would come to know Your name, to honor and to fear You, as do Your people. May wisdom and understanding abound so that men, women and children will not only know You truly, but will fear and serve You gladly. At the last, You will flood the earth with the weight of Your glory. But before that drastic day, cause Your Spirit to gently rest upon Your people in order to make You known. Even though darkness covers the earth, overshadow Your people with the light of Your presence. Even now, wherever Your word is heard and obeyed, there is newness of life that overcomes the harm and destruction of evil. Lift up the lives of those who love You so that nations are gathered to You. May this be the day that knowledge of the Lord increases rapidly, to envelop all the earth with Your glory. A solar eclipse is coming tomorrow, Friday March 20. It will be an event that is unprecedented in recorded human history. According to biblical experts it is also an unmistakable sign of judgment upon the nations. The solar eclipse is already causing concern. The majority of the sun’s rays will be blocked in Europe during the event, and experts are warning of possible power shortages in nations that rely heavily on solar power. This extremely rare event occurs both on the first day of spring and on the first day of the Jewish religious calendar, the beginning of the month of Nisan. It is so rare that it only takes place once every 100,000 years, experts said. The rare eclipse will darken the sun just in time for the sunrise at the North Pole, where it will be visible for two minutes. Historically, it is also the very day the dedication of the Tabernacle occurred that we just read about in the Torah portion. In Jewish tradition, the Jewish people are likened to the moon, and the goyim or nations of the world are likened to the sun. Therefore a lunar eclipse is construed as judgement upon Israel, while a solar eclipse is seen as judgment upon the nations. This astronomical event is followed two weeks later by a total lunar eclipse or Blood Moon on Passover, part of a tetrad of Blood Moons that began last Passover and culminates later this year during Succot or the Feast of Tabenernacles. Gidon Ariel, an Orthodox Jew and co-founder of Root Source, is calling for people around the world to pray for two minutes starting at 10:18 a.m. Greenwich Mean Time. Ariel will be praying at the Western Wall in Jerusalem at a time of day that Jewish tradition reserves for prayer in the Temple. It will come about after this, that I will pour out My Spirit on all mankind; And your sons and daughters will prophesy, Your old men will dream dreams,Your young men will see visions.Even on the male and female servants I will pour out My Spirit in those days. I will display wonders in the sky and on the earth, Blood, fire and columns of smoke. The sun will be turned into darkness, and the moon into blood, before the great and awesome day of the Lord comes. And it will come about that whoever calls on the name of the Lord will be delivered; For on Mount Zion and in Jerusalem, there will be those who escape. As the Lord has said, even among the survivors whom the Lord calls. Take time during this event to pray that the knowledge and devotion to God will cover the entire earth – Isaiah 11:9. For decades the Vatican has convened some of the brightest minds in the scientific community to ponder how they can ease humanity into a knowledge of extraterrestrial life, and to prepare a public disclosure on behalf of the Catholic Church. Many scientists affirm we’re not far from establishing the “First Contact,” given the advances made is astronomy. This past March the Vatican Observatory and the University of Arizona organized a conference held in Tucson to discuss the advances made in the search for extraterrestrial life. The conference was inspired by the rapid discovery of planets, new findings on the thresholds of extreme conditions at which life on Planet Earth can survive, and new technology designed for the search of life on exoplanets. Many biblical researchers, Christian and Jewish, believe that contact has been already made and that a Disclosure on ET is not far off. The Vatican has been closely scanning the heavens at Mount Graham in Arizona and employing the use of the LUCIFER telescope system to detect objects that are undetectable by conventional telescopes. Conspiracy theories abound but Tom Horn and Chris Putnam, both Christians, have written a hard hitting expose on the Vatican’s programs and research into ET’s and Alien life called Exo-Vaticana. This book blows the cover off of the coming ET Disclosure that the Vatican itself is preparing for. In 2009 Jose Gabriel Funes, the director of the Vatican Observatory, gave an interview to the Vatican’s L’Osservatore Romano newspaper, where he stated the existence of alien life posed no problems for Catholic theology. Before the Comet comes, many nations, the good excepted, will be scoured with want and famine. 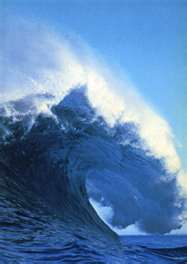 The great nation in the ocean that is inhabited by people of different tribes and descent, by an earthquake, storm and tidal waves will be devastated. It will be divided, and in great part submerged. That nation will also have many misfortunes at sea, and lose its colonies in the east through a Tiger and a Lion. Many people believe this nation is the United States, the great melting pot of the world. Its eastern colonies certainly could be the original colonies on the eastern seaboard. The Lion and the Tiger could be two nations who attack America’s Eastern Coast with a nuclear weapon. The national symbol of Iran is the Lion and the tiger that of China. Iran is a bitter enemy of the USA and China certainly has been flexing its power lately. In the Tanakh, China is called Sin. It’s gematria is 120 (not using the sofit form of the Nun). China has a long standing relationship with the Islamic Republic of Iran. China has been helping them since the 1980′s with their nuclear program under the supposed umbrella of peaceful usage. Iran’s president, Ahmadinejad also has a gematria value of 120. In Gematria Ketana, the zero is dropped making it the value of 12, which is the gematria of GOG. The word time in the last day prophecy is and also equals 120 (12). Whether all this works out biblically – we will have to wait and see. Another interesting non-biblical prophecy, from a Jewish source is called the Child Prophecy. In Jewish tradition, the end of days refers to the times before the arrival of Moshiach. (The messiah) It is supposed to be a turbulent time, prior to an age of harmony between nations. Theprophesy focuses on the Statue of Liberty, as it apparently figures in the cryptic prophecy of a boy prophet named Nachman who prophesied in the fifth century of the common era. In the small village of Banam in the Galilee, approximately 420 years after the second temple was destroyed as young Jewish boy gave a prophecy concerning the End of Days. This boy was a ‘miracle’ child who was gifted with knowledge of Torah secrets from birth. His prophesy, now called the Child Prophecy is considered the ‘holy of the holiest by the Rabbi of Shomer Emunim. The Colossus of Rhodes was a 35 meter tall statute constructed on the Greek isle of Rhodes and was one of the 7 wonders of the ancient world. The Colossus was originally built in 280 BCE and stood for 60 years until an earthquake knocked it over. In our modern times, another idol of Rhodes was built which has become the most famous statute known in the world. Called the ‘New Colossus” this modern idol of Rhodes is erected in New York City and is known as the Statute of Liberty. The Statute of Liberty originally was conceived as a veiled Arab (Muslim) woman and was to be given to Egypt for the Suez Canal, but they refused the offer. The statute was then re-configured as Lady Liberty and the rest is history. The prophecy indicates that when Lady Liberty is destroyed, the wicked kingdom (America) will soon come to an end. Hildegard’s prophecy also appears to indicate destruction on the east coast of the USA, possibly as a result of an attack, which of course is the location of the modern idol of Rhodes, Lady Liberty who in reality is a mock-up of the goddess Ishtar. 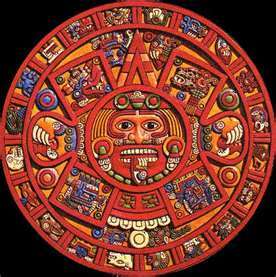 The Mayan Calendar – Is It Correct? The Torah text, which has been hand written and passed down in an unbroken chain of transmission from the time of Moshe to this very day, reminds us that if a prophet foretells of an event that comes to pass but tries to convinces you to follow after other gods, you are not to heed that prophet but you must put him to death (Deuteronomy 13). This tells us that even idolators can even possess the prophetic gift and that the foretelling and fulfillment of a prophecy does not make you a spokesman for GOD. Many people today believe that some one who heals or predicts the future must be sent from HaShem, but as you can see that idea has no basis in the Word of HaShem and those who follow such false prophets are fools. But I am digressing. The predominate view on the conclusion of the Mayan long count calendar is that it will end on December 21, 2012 of the current Gregorian calendar. However there is a dissenting viewpoint from Dr. Carl Jonan Callerman that the Mayan Cycles will end on October 28, 2011. According to researchers like Ian Xel Lungold and Dr. Carl Johan Callerman, the true Mayan end date is 13 months and three weeks sooner than the more modern or commonly accepted date. Why the difference? The researchers claim that the Dreamspell or 13 lunar-month calendar upon which Arguelles and others based their calculations does not take into account the quarterly leap day(Feb.29) introduced into the Gregorian calendar by Pope Gregory in 1582, whereas the true Mayan calendar does. This pushes the end date almost 14 months ahead of schedule to Dec.21st, 2012(as calculated from Aug.of 3115 BC). The Spanish expeditions to the New World yielded Mayan texts which were taken back to the Vatican where the Church spent some 5 months reconciling the Mayan Long Count calendar with the soon to be released Gregorian calendar so that the end of the Mayan calendar occurred on Dec. 21, 2012 at 1:11am. [See 2012 the Online Movie]. Some experts say that Callermans view should not be dismissed since his calculations are geared towards the beginning of the end, not the end of the end, so to speak. Callerman’s date [10/28/2011] coincides with the new moon of Cheshvan (Hebrew calendar). Edgar Cayce known as “The Sleeping Prophet” and “America’s Greatest Mystic”, is one of America’s famous psychics. He wanted people to think of him as a healer and not a psychic. While there were literally thousands of predictions that Edgar Cayce made before his death on January 3rd 1945, many of them have not come to pass. But to his credit many have seen fulfillment. In August of 1936, Edgar Cayce, when asked, “What great change or the beginning of what change, if any, is to take place in the earth in the year 2000 to 2001 A.D.?” answered, “When there is a shifting of the poles. Or a new cycle begins.” On a Nova broadcast (November 18, 2003) we learned that the magnetic current had reversed. A NBC NIGHTLY NEWS broadcast on January 11 2011 (this year) it was made public that the magnetic pole was moving, a phenomenon that could result in a POLE SHIFT which scientist say has not happened for 780,000 years. “When there is the first breaking up of some conditions in the South Sea…or in the Mediterranean and the Mount Etna area, then we know it has begun.” On January 13th 2011, Mt Etna in Italy erupted. Mt Etna is one of the most active volcanoes, labelled as a ‘Decade Volcano’ by the UN. While it’s eruption certainly is nothing shocking or unpredictable, given some of Cayce’s other predictions, it certainly should be taken into account. “Strifes will arise through the period… watch for them in Libya and Egypt…”Cayce spoke of strife arising near the Davis Straits (Greenland), and in Libya, and in Egypt, in Ankara, and in Syria; through the straits around those areas above Australia, in the Indian Ocean and the Persian Gulf. 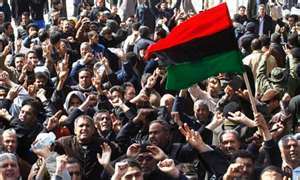 While there has been no problems arising from Greenland, we are all certainly aware of the so-called Arab Spring with revolutions starting in both Egypt (now under the control of the Muslim Brotherhood) and in Libya, where just a few days ago Libyan strongman Gaddafi was killed by US supported rebels. It is almost certain that Al-Keida will gain control of that country. Both revolutions began within three weeks of one another – January 25th and February 15th, respectively. This past year we also saw Turkey, once an ally of Israel, turn on Israel over the Gaza Flotilla Incidents and begin making moves to position itself as the leader of the Muslim world in the Middle East. Turkey threatened Israel with military force if it did not retreat back into it’s own backyard. And Syria is certainly facing a military showdown with NATO and Israel. Given Bashar’s choices, he must either go into exile into Iran or attack Israel as he has threatened to do many times. Another startling prediction by Cayce was that, “The greater portion of Japan will go into the Sea.” On March 11, 2011 Japan was hit with the worst earthquake and Tsunami in there history. While Japan certainly did not entirely sink, the Tsunami that hit Japan has sunken a certain section of the Fukushima area as noted by some scientists. The nuclear devastation is by most accounts the worst nuclear accident in history. It has been noted by ISRAEL IN PROPHECY that unbeknownst to most people, Japan was in negotiations with Iran, to supply Iran with certain nuclear supplies that would have enabled them to produce a nuclear weapon. There is no doubt that Iran is seeking to destroy Israel with such weapons. I call it Convergence. The many different players and pieces are moving into their respective positions. This year has been one of the most tumultuous in recent memory. Forces and countries are aligning themselves. Israel has become the pariah nation of the world. The Palestinians continue plotting the overthrow of the Jewish Nation. Heaven forbid that Palestine ever become a nation. Turkey, a prime player in the Gog Magog scenario, is asserting itself and could lead to the re-formation of the Khalifah, the Muslim Empire. October 28th 2011 is 5 days away. With some help from Heaven, it will be like any other day……… but then again maybe not. 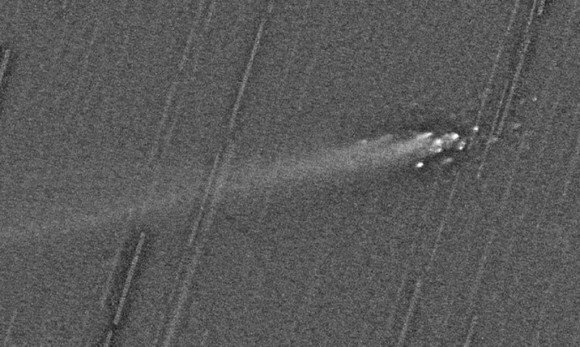 The the video’s also show that comet Elenin is breaking apart due to the CME or massive explosion. in fact there are numerous photographs that show this break up. But lets not get ahead of our selves and think that Elenin turned out to be a fizzle. Some months ago when we began first tracking Elenin, we speculated that Elenin very well could be the Blue Kachina of the Hopi Prophecies and in fact it’s break up does not mean that it’s not. But now that the break up has occurred, the Christian prophecy which we spoke of previously has all the ear markings of being completely fulfilled. This September 28th, Rosh HaShana, the Constellation Betulah (Virgo) will be seen with the new moon at her feet. The book of the Revelation foresaw a time during the High Holy Days when this particular sign would be over the skies of Jerusalem at a time when the nation of Israel would be under persecution and threat of war. Though this sign has occurred over and over again for centuries, only just recently have the conditions been right for prophetic fulfillment. Part of the prophecy states that this astronomical sign would have the new moon at her feet and 12 stars at her head. Centuries ago the ancients did not have such a detailed list of interplanetary objects. Planets, comets and even meteors were called stars. While there have been numerous attempts to force an explanation of these 12 stars into meaning actual stars around her head, this explanation is without merit. For it to be a prophetic sign, we, the receivers of the prophecy must be able to see these ‘stars’ in some way. The break-up of Comet Elenin may very well be the fulfillment of this prophecy from the Christian sacred books. It bears watching. We are within a few days of this conjunction and the Middle East is a powder-keg with The PA trying to stir the pot. In my spirit I pray that this season will pass with no war but only HaShem is capable of knowing times and seasons with chilling accuracy.